A European annual, rarely found as a weed in disturbed ground. First collected in 1891 in Washtenaw Co. Even the largest flowers are less than 9 mm long, whereas in our species of Corydalis they are over 1 cm (except in C. flavula). MICHIGAN FLORA ONLINE. A. A. Reznicek, E. G. Voss, & B. S. Walters. February 2011. University of Michigan. Web. 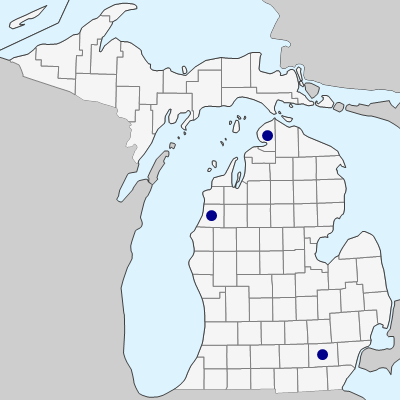 April 22, 2019. https://michiganflora.net/species.aspx?id=1895.